WEDNESDAY, April 12, 2017 (HealthDay News) -- When a marathon shuts down city streets, it's more than an inconvenience: Nearby residents appear more likely to die from heart attack and cardiac arrest, a new study finds. 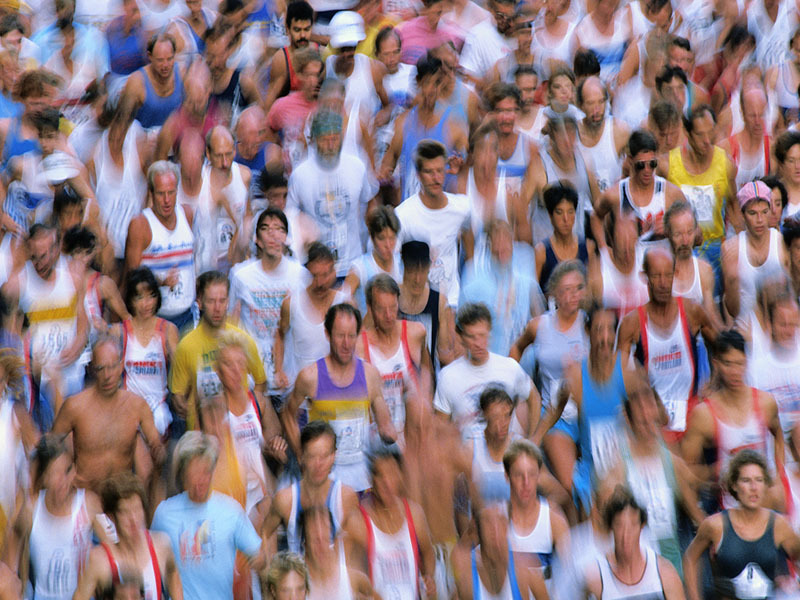 The study, of 11 U.S. cities, found that older residents were less likely to survive the heart events on marathon days, compared to other days, perhaps due to delays in receiving care. Older people who landed in the hospital on a race day were over 13 percent more likely to die within a month, the findings showed. There was a similar difference when researchers compared those patients with older adults admitted the same day to hospitals outside the marathon-affected areas. The study drew praise but also notes of caution. "This is a great study," said Dr. Howard Mell, a spokesman for the American College of Emergency Physicians. When a city hosts a major sports event, he said, organizers prepare for the participants' needs, an influx of tourists, and disruptions in traffic and "infrastructure." There has always been an appreciation that medical care might be delayed, Mell said. But this study actually ties marathon days to people's survival odds, he noted. "This tells us, holy cow, the effects might be bigger than we've thought," Mell added. However, the study does not prove that ambulance delays -- or any other single marathon issue -- caused the higher mortality, said Dr. Michael Scott Emery. Emery, who was not involved in the study, is a member of the Sports and Exercise Cardiology Section of the American College of Cardiology. "This study is interesting," he said. "But it doesn't tell us the 'why.' "
No one is trying to pick on marathons. It's possible that heart patients' outcomes could be affected during any large, disruptive event, said Dr. Anupam Jena, the lead researcher on the study. Jena said his team concentrated on marathons because the 26-mile races require such extensive road closures. "We're not saying that cities shouldn't have these events," said Jena, an associate professor of health care policy at Harvard Medical School. But, he noted, marathon organizers should be aware of the potential consequences for residents, and look at whether their planning is optimal. The findings are based on data from Medicare patients in 11 U.S. cities that hosted major marathons between 2002 and 2012. Of patients taken to the hospital for a heart attack or cardiac arrest on a marathon day, 28 percent died within a month. That compared with about 25 percent of patients admitted in the weeks before or after a marathon. The investigators found no evidence that the increase was related to heart problems among marathon participants or out-of-town visitors. There were, however, some ambulance delays. On average, ambulances took an extra 4 minutes to get patients to the hospital on marathon days, according to the report. Every minute counts when it comes to heart attack and cardiac arrest, Jena said. Still, he acknowledged, "you could question whether 4 minutes would translate into such a difference in survival." Emery did just that. "I find it hard to pin the blame on those 4 extra minutes," he said. So Jena pointed to another finding: About one-quarter of patients got themselves to the hospital. Their travel times were unknown. "But," Jena said, "you can bet their delays were a lot longer than 4 minutes. My hunch is, that might explain much of the mortality increase." The findings, said Jena, underscore the importance of dialing 911 when you think you're having heart attack symptoms. "Never drive yourself to the hospital," he said. "But that may be especially critical on a day when there's a big event like a marathon." Mell and Emery stressed the same thing: Call 911, so paramedics can not only get you to the hospital, but also start treating you immediately. Another possibility, Emery noted, is that on-call hospital staff had trouble getting through traffic on marathon days. But that's just speculation, he added. "There's more to this story," Emery said. "And it requires further investigation." The study results were published in the April 13 issue of the New England Journal of Medicine.